Jeannine M. King of Fort Washington, PA passed away in Philadelphia, PA on November 30, 2015. Jeannine was born in Stowe, PA on November 19, 1948 to Jean Homan. She attended Pottstown High School. 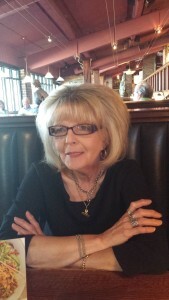 Jeannine worked as an IRA Retirement Plan Administrator/Executive Assistant for 35 years at PACS, Inc. where she worked with Owner and President of the company for all of those years. She then held the same position at Karr Barth Associates. Jeannine had and enjoyed participating in one hobby. THE PHILADELPHIA EAGLES! She was known to have an argument, or two…. Regarding HER team! She and Lawrence held season tickets for 33 years and they both were at the games no matter the weather, it would be hot, cold, raining, or even snowing. They were there and she was a Proud Eagles fan! Jeannine was predeceased by her Mother, Jean Homan. Jeannine is survived by her loving husband Lawerance and her Daughter’s Jenelle and Teri. She is also survived by her cousin Kim and her husband Bob along with a host of other family members and countless friends. Relatives and friends are invited to Jeannine’s Memorial Service Saturday December 5th 1pm at the Craft Funeral Home of Erdenheim 814 Bethlehem Pike.